In one last ditch attempt to keep responsibility from eroding their friendship entirely, the trio decide to take a cycling holiday across the breadth of the country. Which would be fine if they’d ever cycled before. Or if George’s idea of modern cycling wear wasn’t tweed, long socks and cycling clips. 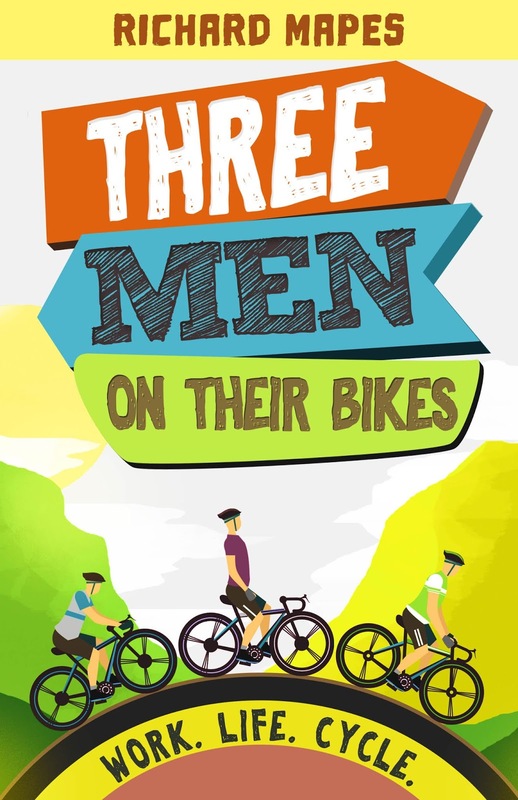 Three Men on Their Bikes is a fun and entertaining book that still has a good message to convey. The humour is subtle and well placed, though some jokes may resonate more with a British audience than with overseas readers, and the prose is easy going, making it an excellent bedtime read. Though providing plenty of laughs, the book also looks at the difficulties of growing up, and how hard it can be at times to keep in touch with old friends as new commitments take centre stage. As such, this seems the perfect read for people in their early thirties who are feeling a little lost in it all. Overall, I found this a delightful and affirming read. I shall certainly be recommending it to my thirty-two-year-old brother-in-law who is Yorkshire-born and a keen cyclist!